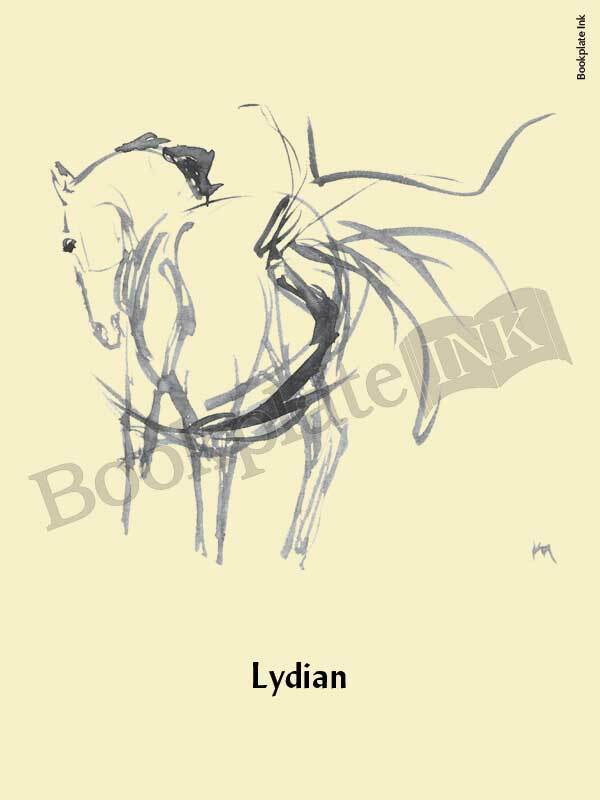 One of two designs we are offering by the late Yellow Springs, Ohio, equine artist Kathleen McMillan. This horse is a graceful brush stroke style painting. There is room for up to three lines of text, if needed.